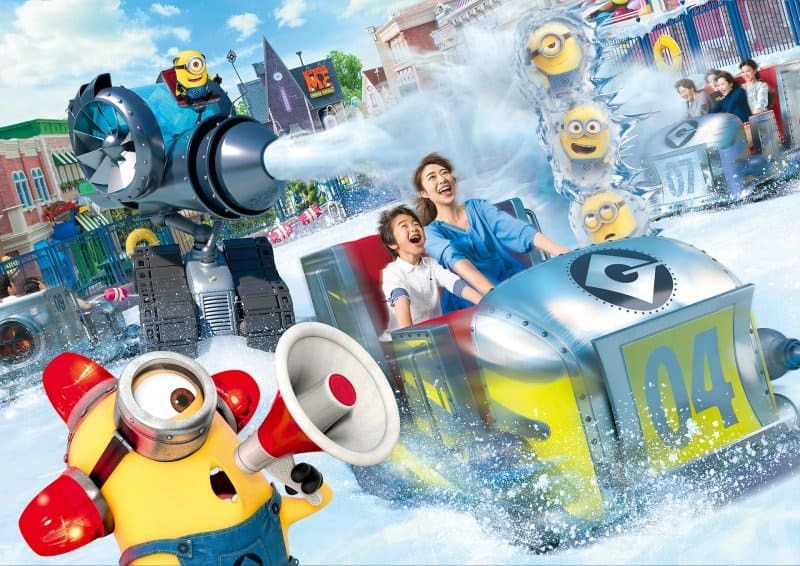 Universal Studios Japan’s brand new Minion-themed ride “Freeze Ray Sliders” opens June 20, 2018. “Freeze Ray Sliders” will see guests take a spin in ice-making cars across an ice rink in the center of Minion Park. 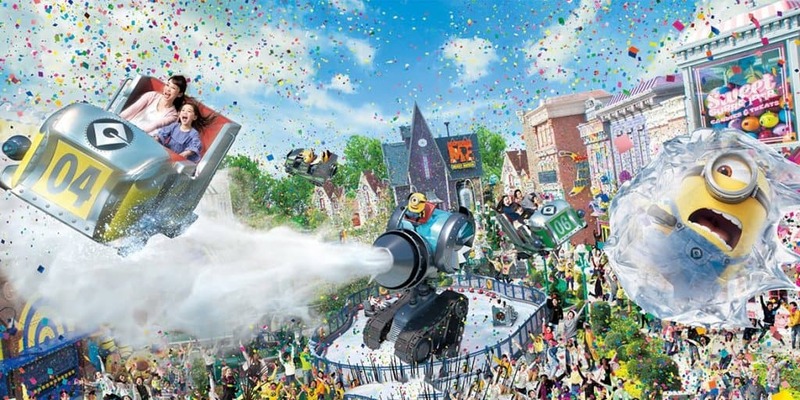 The family attraction features ten ride vehicles, each carrying up to four guests, and a large freeze ray spraying mist and water – perfect for Osaka’s hot and humid summer. There’s even a story to explain the ride’s sudden appearance. According to the park’s Japanese site, the fountain in the center of Minion park started to boil! (or was it just bubbles?) and the resourceful Minions rushed to use Gru’s freeze ray to get things under control. One thing lead to another and an ice rink formed, so obviously, the Minions decided to have an ice race! “Freeze Ray Sliders” is unique to Universal Studios Japan, but sure reminds us of the concept art for “Oaken’s Dancing Sleighs” which is planned for Hong Kong Disneyland’s Frozen Land. 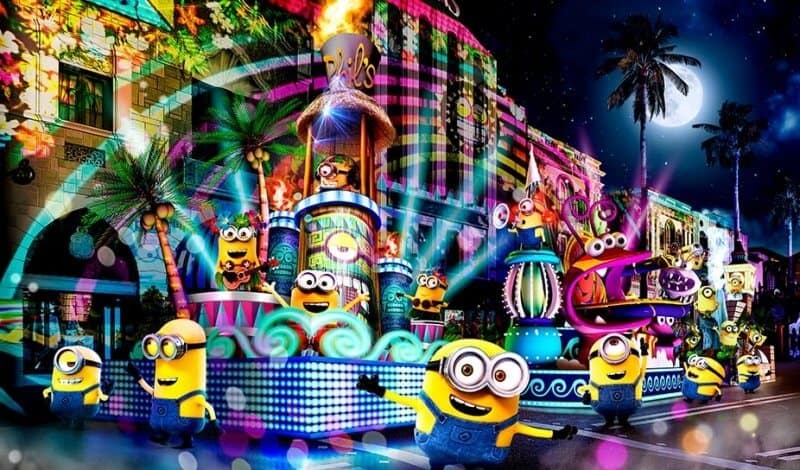 As well as the “Freese Ray Sliders” attraction, Universal Studio Japan’s new “Universal Spectacle Night Parade – Best of Hollywood” debuts on May 17, 2018, and will feature a Minions dance party, along with floats based on the Harry Potter, Jurassic World, and Transformers. Information and images from the Universal Studios Japan press release and website. Are you planning a trip to Osaka to visit Universal Studios Japan? Be sure to read our guides on booking flights to Japan, buying a Japan Rail Pass, and buying your tickets online.